True health (and beauty!) comes from within. Your skin is a reflection of what is going on inside. Breaking out is a product of hormone imbalances, a poor diet, stress or a combination of all these factors. If you aren’t eating right or dealing with stress properly, your skin may show it. And while some people eat fast food and drink sugary sodas on the reg and still have “perfect” facial skin, it just means the damage is affecting them internally and expressing itself in different ways. Don’t compare yourself! If you aren’t happy with your skin and want to steer clear of antibiotics and dangerous chemicals that promise clear skin (but through sketchy means), try taking the truer approach that, albeit may take longer, will ensure lasting, natural results. By eating a plant-based diet and becoming more “regular” through improved digestion, your cells will cleanse, revealing a more beautiful, glowing complexion as a reflection of your cleaner internal terrain. Prescription drugs, creams, and other external remedies will only mask the problem, not fix it. However, once you get your diet in check, it is NEXT important to shield your facial skin from external factors that you can’t necessarily control – pollution, allergens, sun exposure, tap water, other people touching it, pillow cases, dry weather, humidity, etc. Plus, as you cleanse from the inside out, your skin will eliminate toxins through the skin, and it is crucial that you keep your skin as clean as possible so these toxins don’t clog your pores. You’ll need less make-up (but if you do continue to use make-up route, use this for reference: Step-By-Step Guide to Creating a Natural, Everyday Make Up Look. I recommend keeping it as simple and cheap as possible. The following five elements to facial skin care have transformed my complexion from one that was sensitive and blotchy and annoying to deal with to one that is now clear of a single blemish and consistently glowing! No need to dish out the big bucks for this step. A simple $5 vegetable oil-based soap bar is all it takes. Look at the ingredients and make sure they are as crude as possible. 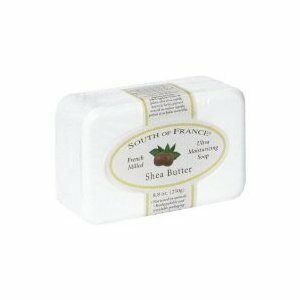 South of France soaps smell great and have many different scents – my favorites are the almond, green tea, pomegranate, and verbena varieties. They are great for the entire body and all you need to get rid of surface dirt. 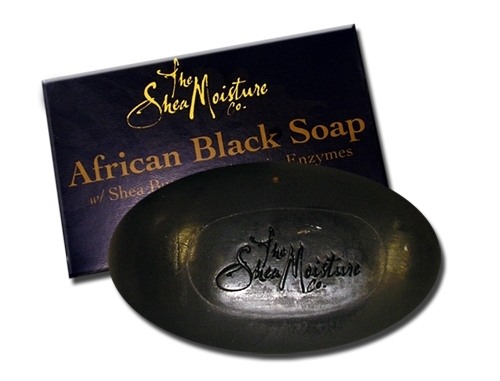 Check out how pure and basic the ingredients are in these soaps. This is a new addition to my facial regimen. I never used a toner until I moved to Turkey, where rose water is widely sold and heralded for its aromatic and pH benefits. You can find rose water easily online. If the rose water you find doesn’t come in a spray bottle form, just buy an empty spray bottle at a local pharmacy and fill it up to use. Or, you can pour a small swig in your palm and pat your face with the water prior to moisturizing. 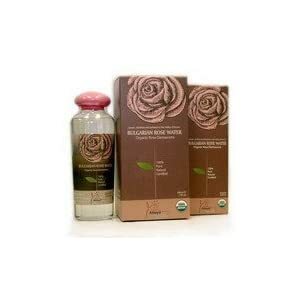 This organic rose water is made from Alteya, a Bulgarian source. 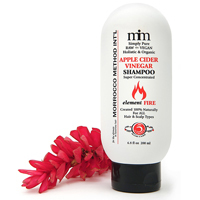 You will love the way your skin smells after applying this! It’s also a great refresher throughout the day, uplifting your complexion and your senses. Seriously, there is absolutely no need to buy into these expensive exfoliator on the market. Yes, they’re organic and awesome and smell wonderful, but they are super expensive and not nearly as potent as what you can make in your own kitchen with some sugar and a drizzle or dab of something else, depending on your skin type. Try to exfoliate at least 2-3 times per week to release dead skin cells on the surface of your skin, which will allow for deeper cleansing and clearer, more glowing skin! My favorite body moisturizer is from Derma-E. The company keeps their products as natural and organic as possible and adhere to strict quality requirements. My favorite facial moisturizer has changed over the years, as I find it to be THE. MOST. IMPORTANT. element of facial skin care, since it stays on your skin with you all day and your skin essentially absorbs it, so it’s important that it’s as high quality as possible. I used to pay a lot of money for Tata Harper’s serum, which I find smells amazing and is really effective, but at first it was far too much money to justify ($150 for 50 ml) . However, because of its potency, you only use a little (dime size) at a time – not like pharmacy story brands where you passively lather on loads and loads. This stuff works and you notice the difference in your skin tone and texture after first use. The rebuilding moisturizer costs $100 for 50 ml, but my skin works well with just using the serum as a moisturizer. If your skin is drier, opt for the moisturizer. Both work great! I am a Tata Harper fan, but I know there are many organic moisturizers on the market that are similarly effective and cheaper. Check out these websites for your fit in philosophy and cost. Before I go to bed, I spare excessive use of my Tata Harper products and apply an essential oil. Argan oil is by far the most effective and least oily and clogging feeling oil I’ve found yet. It’s praised for its healing effects, especially if you are dealing with wrinkles or scars, and it has sincerely changed my skin and done away with any scars from past break outs or that scar left behind from when my sister bit my nose when we were kids. 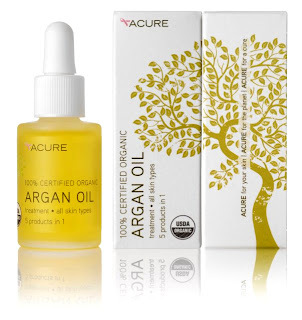 There are many organic argan oils on the market. Just be sure that the one you buy is 100% argan oil and not mixed with other things. It’s a slight expense, but the supply lasts awhile since you are supposed to be modest with application. I hope this list inspires your facial skin care regimen. Keeping it consistent and basic will cut costs and avoid surprise skin break outs and acne scares. Keep in mind that because these products are so pure, they are potent – a little goes a long way! In the name of beautiful skin, I wish you all fabulous summer complexions! I keep my daily beauty regimen simple and fuss-free. I strongly believe less is more! The less make-up, the more of a glow you can achieve. It takes time to get your skin where you want it, and everyone has different conditions to adapt to. I have fine hair and dry skin, so I’m huge on conditioning every nook and cranny of my body. My skin has also had its ups-and-downs over the years. I grew up with clear skin, but when I reached college and began drinking, eating unhealthily and getting little sleep, I went through periods where my skin was absolutely unbearable to manage. The worst part about breaking out is that all you want to do is cover it up, but doing so just clogs your pores even more and continues the vicious cycle. I’ve sworn off cover-up and foundation, because if you just let your skin push all the junk out and maintain a hands-off approach, you’ll see that it eventually clears up on its own. The key is to stop fussing! After trying to tame the beast that was my bout of acne, I decided to step back and stop applying so many lotions and acne remedies. I allowed it to get really bad before it got infinitely better. Be patient and trust your body’s inclination to balance. This bad boy is a simple, yet extremely effective way to activate your lymphatic system. Undress and set aside a few minutes every morning to dry brush (yes, that means no water). By brushing in an upward motion toward your heart in circular motions, you are stimulating your body’s circulation and encouraging detoxification. Focus on neck, behind the kness, armpits, and groin area for greatest results. Also focus on your bootay to reduce cellulite. This ritual also warms you up on a cold Winter morning! Coconut oil is all-purpose. Don’t confuse it with coconut butter. 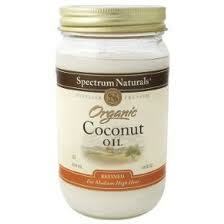 Coconut oil presses and extracts the oil from coconut meat, whereas coconut butter includes the meat. Use coconut oil for your body. Don’t be intimidated by the idea of oil on your body–it won’t make you look greasy. It’s very light on your skin and absorbs quickly leaving no residue. It also leave a faint, fresh smell. No, you won’t smell like a pina colada. Coconut oil is great for scars, moisturizing, eczema and psoriasis, and I believe it to be the ideal conditioner for your skin and a great hair treatment. Don’t use it on your face if you are acne-prone. This is ALL you need in your cabinet for moisturizing! It lasts a long time too, so more bang for the buck! These soaps are vegetable-based and lack the parabens and other synthetic ingredients found in other soaps. They are cleansing and smell delicious! Non-toxic brand of nail polish! My favorite brand–Priti. Click here to get some! This is a great line–Dr. Alkaitis makes organic, raw skin care products. They are light and make the skin feel smooth and luxurious. Morocco Method International hair products. Great stuff. Great results. These products are 100% natural, raw, vegan, organic, fair trade, chemical-free, family and baby safe, and pet friendly. Oh, and they work like a charm!Can’t get much better than that. Intelligent nutrients has made the most beautiful, feminine scent! 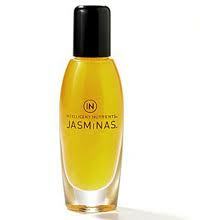 I love Jasminas. Put a little of the oil behind your ears, on your neck and on your wrists, and you will exude a beautiful, natural scent that isn’t laced with chemicals and artificial additives. You will smell the glow! 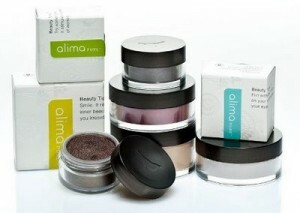 Alima Pure is a phenomenal line of makeup. This is what they have to say, “Our mineral cosmetics are never made with additives, fillers or fragrances that can irritate your skin or clog your pores. In fact, the pigments in our natural makeup are actually beneficial for your skin, offering sun protection and anti-inflammatory properties.” Sounds good so far. Even better, it is certified against the more rigorous European standards of the Federation of German Industries and Trading Firms for natural cosmetics. It is only the 2nd American cosmetics company to be able to boast this. The products are quality, pure, and eco-friendly. They are also affordable and you can recycle your jars! Try these products for yourself. 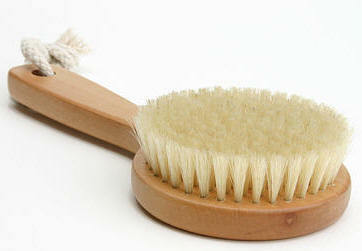 While some may be on the more expensive side, they are great investments that last longer than your average toiletries. They pay off in the long-run and are all you need!